There are many important facts that people know about their finances, and they can rattle off all kinds of numbers about how much they make, how much they have in their savings account, and how much their monthly bills are. But according to a recent survey by Bankrate.com, 35% of homeowners did not know their mortgage interest rate. One in seven mortgage holders were either “not too confident” or had no idea about their rate. 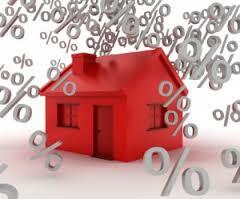 The survey suggested that 65% of homeowners are very confident they actually know their mortgage rates. But mortgage planner Jim Sahnger says that figure may even be too high compared with the reality of the percentage of homeowners who really know their rate. Sahnger said that when he asks homeowners for their mortgage rate and late compares the number given with the actual rate on the documents, most don’t get it correct. “They may have a general range, but they don’t know exactly,” added Sahnger. It is important to be aware of current mortgage rates and your own because refinancing could lead to substantial savings. Sahnger suggested, “If you are not going to get a big raise at work, why don’t you see if you can give yourself one at home?” He urges homeowners to see if they can save with a refinance. Lenders are not surprised by Bankrate.com’s findings. Purchasing a home can be stressful, and most borrowers are honed in on what their monthly payment will be, not how they get to that payment. Matt Weaver, senior mortgage loan originator for PMAC Lending Services explained that most borrowers know the general range with somewhere between a half and a quarter percentage point variance. That variance, however, can translate into meaningful savings. Lewis concluded that borrowers should check the current rates, and if they’re not sure of their own rate, they should go check to make sure they’re not missing out on an opportunity for savings. If you have any questions about refinancing and getting a lower mortgage loan rate, or if you want to know anything else about the mortgage business, please feel free to call me and we can discuss what is on your mind.